Ireland Baldwin has a beautiful red rose tattoo on her right hip done by Konstantin Noskos. 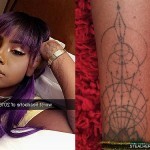 Sahlt has a rose tatoo on her right foot done by Konstantin Noskos. 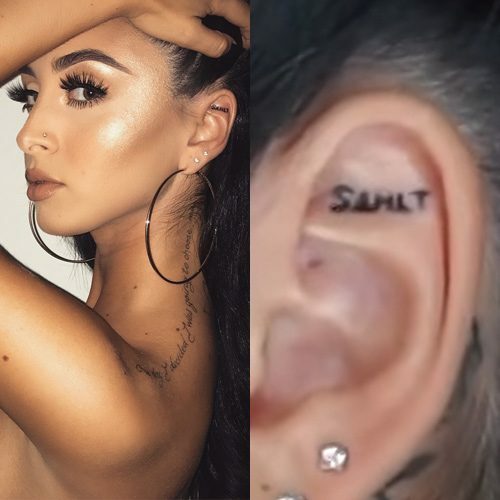 Sahlt has a script tattoo along her left shoulder reading: “One day I decided I was going to choose myself.”. 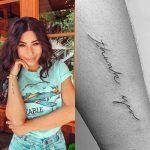 Both her shoulders tattoos match with her wrist tattoo “self-love” and they are a reminder to love herself first and choose to stay positive no matter what. 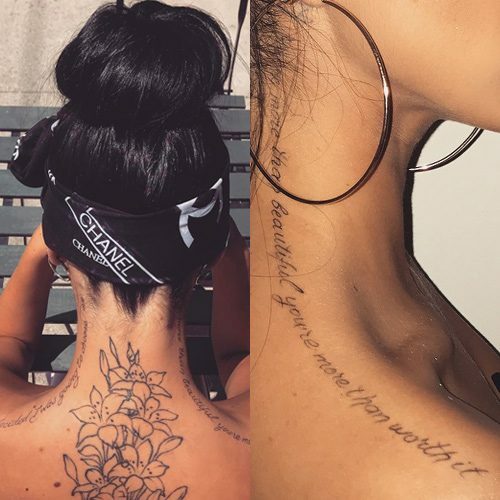 Sahlt has a script tattoo along her right shoulder reading: “You’re beautiful, you’re more than worth it”. 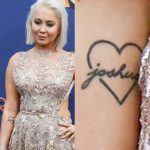 This tattoo and the one on her left shoulder match with her wrist tattoo “self-love” and they are a reminder to love herself first and choose to stay positive no matter what. 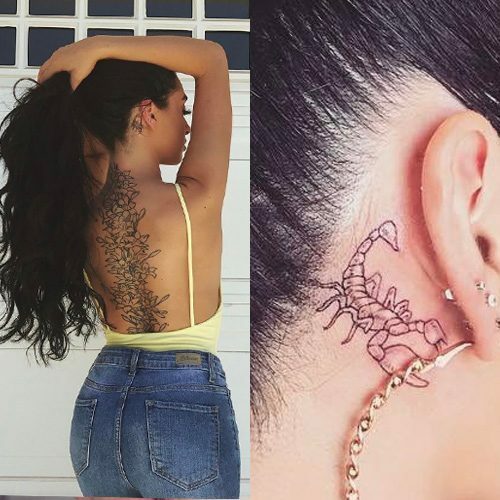 Sahlt has a scorpion tattooed behind her right ear for her zodiac sign Scorpio. Alycia Tyre tattooed her nickname “Sahlt” on her left ear. 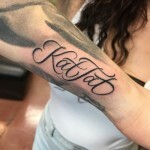 Ireland Baldwin has a tattoo on her right ribs inspired by Kill Bill. 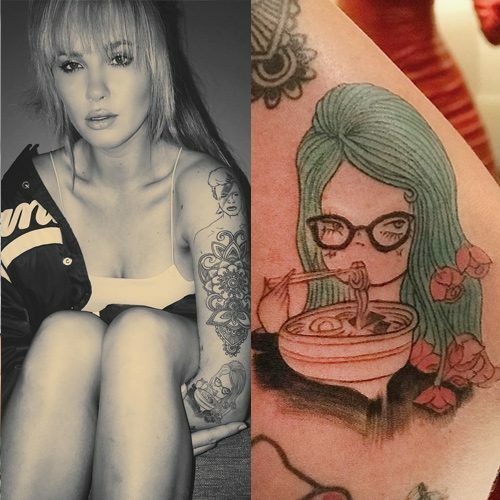 Ireland Baldwin has a tattoo with a girl eating ramen on her left elbow. 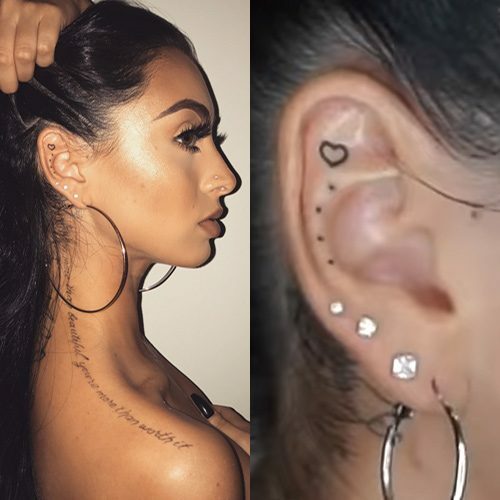 Sahlt got a tiny heart and three dots inked on her right ear. 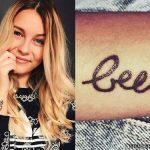 On a video where she explain what her tattoos means she said this design she did it because it looked cute and she didn’t feel any pain.